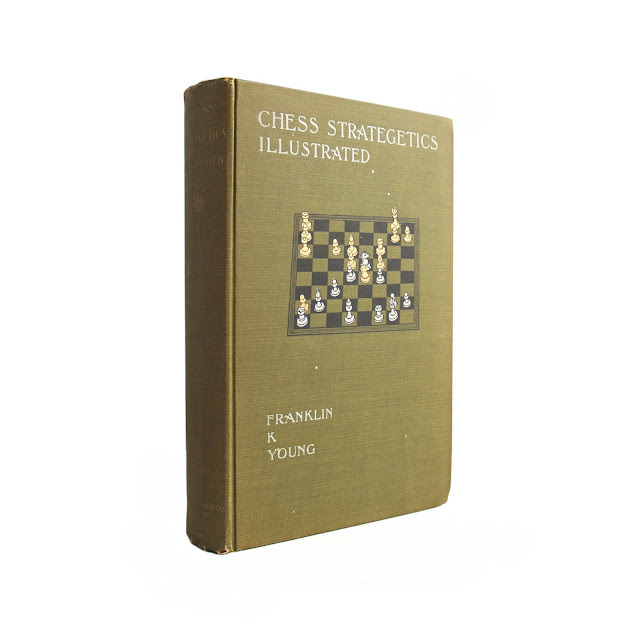 This antique hardcover book has an olive-green cloth cover with a silver, black and gilt illustration of a chess board on the front cover, white cover lettering and gilt spine lettering. 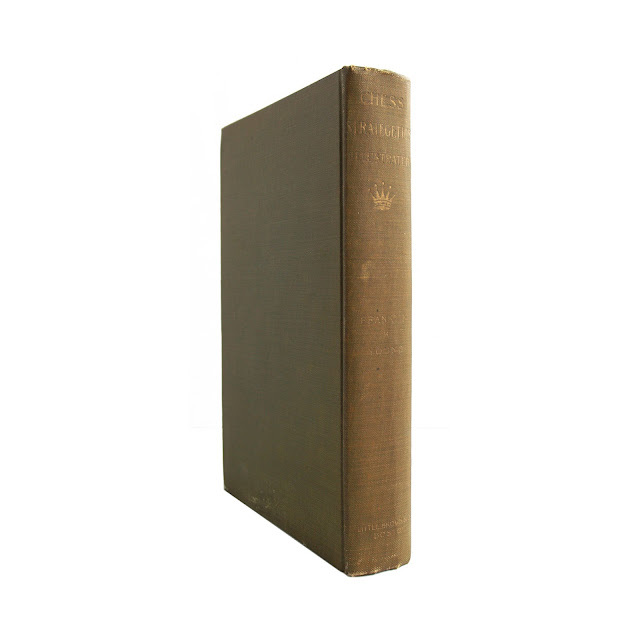 Deckle edges. Tissue-covered frontispiece illustration of a chess board. 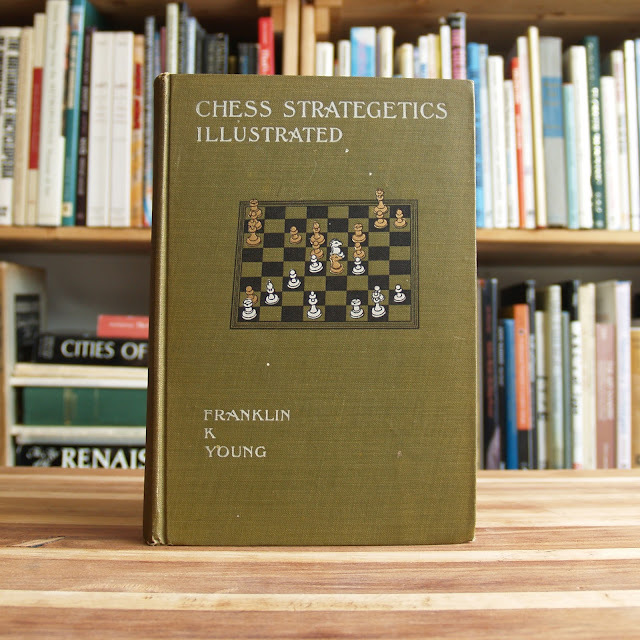 This book uses chess as a metaphor for battle strategies and vice versa. 284 pages; approx. 6"x9". 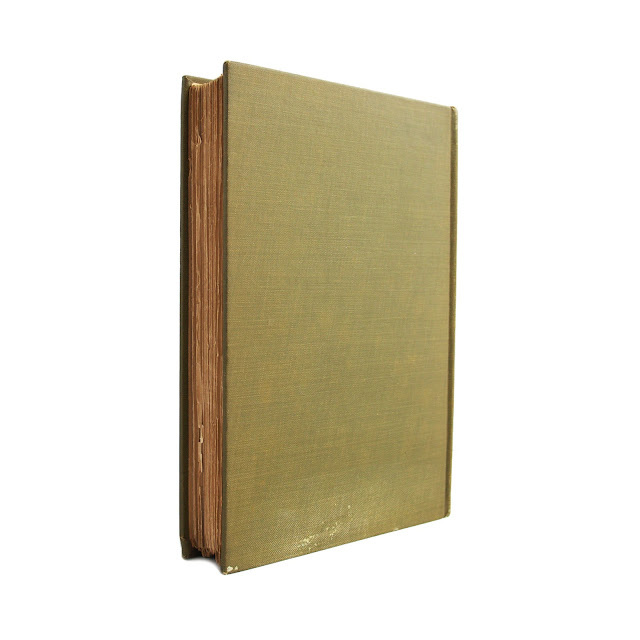 Book is in good condition with faded spine, edgewear, soil and browned page ends.